FROM THE ARCHIVE: For many nonprofits, recruiting board members is an exercise lacking not only in vision but in common sense. In this recorded webinar session, panelists Vernetta Walker, Ruth McCambridge, and Anasuya Sengupta will walk you through the whys and hows of these new governance processes, step by step. Since the presidential election, protests have multiplied. These decentralized activities create obstacles to traditional funding processes, leading funders to develop innovative and flexible new models. This webinar session is designed as a review for nonprofit teams and is meant to spark conversations for strategy improvement in your nonprofit. 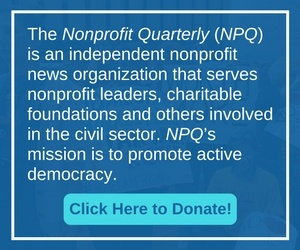 In Nonprofit Quarterly’s final session of a 4-part webinar series on Executive Transitions where we discuss the role of the board in the process of succession planning. In this webinar session Ted Ford Webb will walk participants through a set of sometimes amusing and sometimes frightening but always instructive stories about executive transitions gone right or wrong. Many nonprofit executive directors begin to think about leaving long before they actually do, but too often they may not share their thinking with others. When is the right time, and what is the right way to raise the issue? Find out in this exclusive webinar from NPQ! This webinar is the first in a 4-part series involving some of NPQ’s most expert authors on the issue, addressing the components of good succession planning and transitions, from deepening the leadership “bench” to creating exit agreements.